It’s pretty unavoidable that when winter comes, the carpets appear dirty. As a homeowner, it can be quite a challenge to maintain the cleanliness of your carpet as children and pets spend more of their time indoors mixing snow, sleet, sand, and salt from their boots and paws. The following are a few ideas you can implement in the home to alleviate heavy housekeeping. 1. Remove your shoes before entering the home. When you want to significantly lessen what enters your home, remove any footwear that’s especially used outside. In many cultures such as Asia and Europe, this is standard practice. If you’re worried about your guests running around barefoot, you can offer them slippers to use indoors. The best carpet cleaning technique is to buy sturdy entry mats for the home. This might seem like a no-brainer but you have no idea how many homes can neglect this simple purchase. A great mat will catch the dust, soil, and other dander that would otherwise go into the home. It’s easy to brush them off especially when you can’t initially see them, but they can linger in the air and stick onto your carpet fibers. 3. Invest in Steam Cleaning. If you’re worried about dirt build-up within the home, call your local cleaning company. We especially suggest doing this after winter as all the holiday festivities are over. That way you can start the new season with fresh, clean carpets. Prolong the life of your carpet by vacuuming every week. This will help prevent dust mites and other microscopic pests from penetrating into your home. 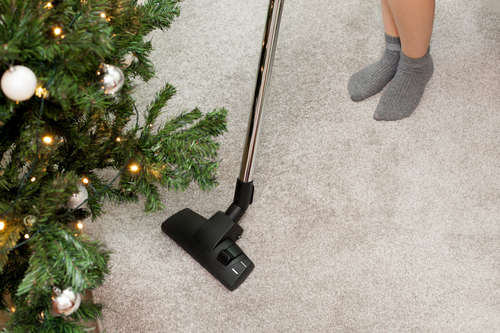 Take the time to vacuum on a weekly basis. This will not only look aesthetically pleasing, but a clean carpet promotes a healthy environment. Of course, regardless of the season, these tips are especially helpful all year round! Is it Time to Replace Your Water Heater Yet?